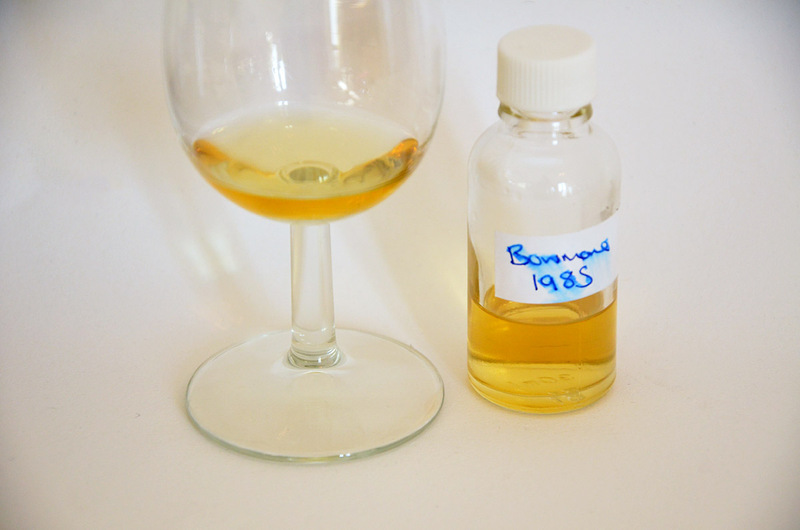 Launching iminantly is this Bowmore 1985 coming from a mixture of Bourbon and Sherry casks. Sweet at first, then very clean with herbal and floral notes over a layer of iodine. Touches of lime marmalade and boiled sweets. Light notes of Vanilla and when left a little a little smoke and fruit comes out. Very dry at the start and still quite herbal with that typical salty iodine Bowmore backbone, but well balanced and never too much. heather and floral notes are then followed by the sweeter fruit and caramel. Long and dry with smoke and a little sweetness which disappears leaving herbals and a touch of sea salt. This was not as rich and fruity as I was expecting, however the whisky, although not as rich, still entices and has remarkable flavour and depth. I only had a small sample and would have liked more so I could have left it to open up and come back to it again. At £300 this is certainly a good whisky and I look forward to tasting it again in the future. 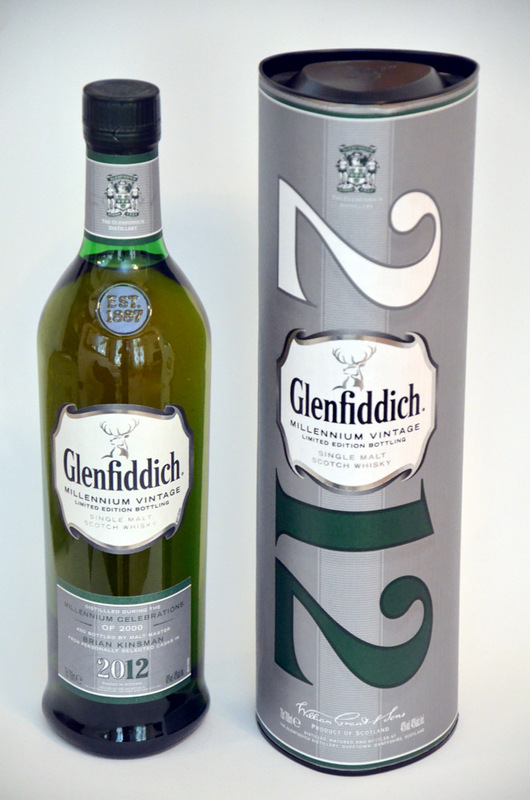 The Glenfiddich Millennium Vintage Limited Edition single malt whisky is the latest exclusive from Glenfiddich. 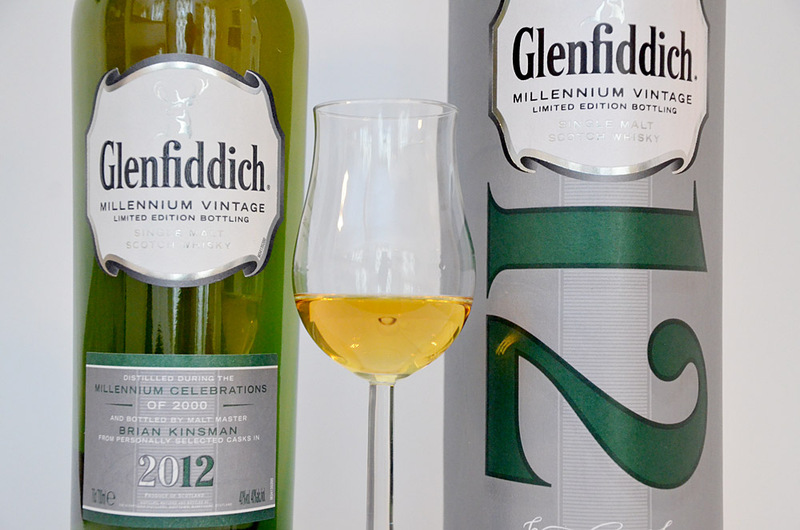 The whisky was distilled and placed into casks during the Millennium celebrations of 2000 and bottled in 2012 from casks hand selected by Brian Kinsman, the Glenfiddich Malt Master. This new vintage was initially unveiled in the World Duty Free stores at London Heathrow on Friday July 13 where it was exclusively available for 12 days. On July 25, the limited edition whisky was then rolled out to all World Duty Free stores across the UK. Firstly fruity, with dried apricots and marmalade, there is an underlying nutty note and a touch of vanilla and caramel when left for a while. Initially it is sweet, but dries. The dried fruit flavours being dominant, but underlying the fruit there is a waxy layer before vanilla and caramel come in to join the fruits. There are a few spices and a hint of floral flavour over the top of the fruits, but over all it is a sweetish but palate cleansing whisky. The finish is very similar to the palate, with a medium length. The nutty flavours come back and leaves the mouth clean. This new expression from Glenfiddich costs a little more than the regular 12 year old, but I would say it is certainly worth a little extra. The finnishing in the ex-bourbon barrels adds an extra depth. An excellent dram in this price bracket.